What is the limit of kilometers that a car must have when buying it? When buying a second-hand car , one of the most delicate and important issues is the maximum mileage of the car . That is, what is the limit of kilometers that a car must have when it comes to buying it? The mileage of a car is one of the indicators that determine the use that has been given to the car, the performance of your engine (with use and time, is losing power, for example) and how much or little you have could suffer their equipment. Hence, it is crucial to determine what is the limit of kilometers you must have when buying it. The reality is that there is no answer type. As always in these questions there is no simple and valid answer for all cases. But yes, you can give some advice so that we can make our own idea and adapt to our needs. 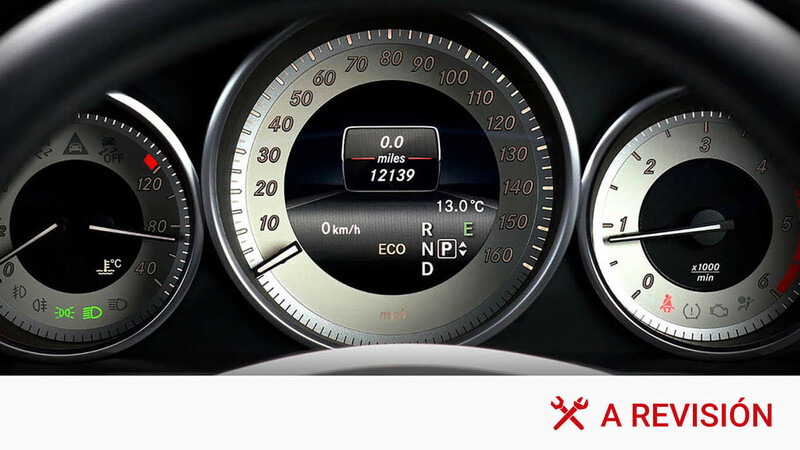 The mileage per se is irrelevant, the first thing to keep in mind is the mileage in relation to the year of the car . It is not the same, for example, a Mercedes E Class of 2014 with 250,000 km than a Class E of 2005 with 180,000 km. In the first case, they are more than 60,000 km per year. That intensive use could mean that it is an old car that served as VTC and that have used several drivers, for example. While in the second case, it is a normal use, with less than 15,000 km per year. That is, beyond the mileage it is much more important to determine the use that the car had. And more importantly, what has been its maintenance. And is that a priori, nobody would want a recent E-Class with 250,000 km. However, this model is more likely to give fewer problems than the 180,000 km one for the simple reason that maintenance had to be up-to-date, since everything indicates that it had a professional use. In practice, in the end, in order to buy a second-hand car, it is essential to check that the maintenance of the car has been carried out correctly . What to look at in a second-hand car before buying it? It depends a lot on the car, but there are a number of tips valid for absolutely all cars and that will avoid many troubles. Do not hesitate to ask the seller, what has been the use of the car, how many owners had previously, if the car was subject to a major repair, if it had accidents, etc. Depending on the answers or if it goes through the branches, you can determine if you have something to hide. First, never inspect a car at night or a rainy day (or one that has recently rained). The lack of light and water hide very well the possible defects of the bodies of the cars. Get away a bit from the car and see if there is a variation of tonality between the body panels. For example, a door is slightly lighter or darker than the rest of the body is that it has been painted. Why have they painted it? Was it due to a scratch or an accident? Attention, however, in the plastic bumpers of the current cars, that slight difference of tonality can be given, even with new cars. Hence, the importance of asking everything you want to the seller. A car with a daily maintenance can travel more than 250,000 km without problem. In addition to the usual maintenance (oil and belt changes, if applicable) the invoices relating to the car can indicate possible major repairs (calls for revision, repairs after an accident, etc). If the car you are interested in is around 100,000 km, it is even more important to ensure the correct maintenance of the car. Specifically, if the revision of importance and the change of timing belt has been carried out (if applicable, since some cars have a chain and it is not necessary to change it). And is that some owners sell their cars at that time just to not make those expensive revisions. It is very simple, after being parked in one place, observes the state of the ground. Are there recent oil spots? Water other than air conditioning? If so, run away and keep looking. It is important that you try the car . If the seller puts a hit to prove it well, you tell him that you already throw him 5 euros of gasoline if that is the problem. It is a matter of checking if there are strange reactions in the direction (vibrations, if you pull to the side on the straights, if it is abnormally hard despite the power steering, etc), in its behavior (accelerates as it should, brakes with mordant) and in the change (they engage the gears in a manual, for example), let the seller give you a turn first. After a few minutes you will see how he has driven his car (revolutionizes the engine, gives strong accelerations, abuses the change, etc). And you will also see, from the outside, if the escape throws some kind of smoke – that is not condensation in winter. If it is bluish white, the engine eats oil and a strong repair is looming. If it is dark, combustion is bad, too rich. In both cases, keep looking. Your portfolio will thank you. Even if you look like a heavy one, give it to absolutely all the buttons of the car to see if they work. It will take longer to do it in a Mercedes S-Class than in a Renault Clio, but it is important that you check them all. Then, if the rear window does not lower or the seat does not give you the massage you expected (in the S Class), you will not be able to complain. If something does not work, you can use it to make the seller lower the price. If it’s up to you to fix it on your own, but that’s a very personal thing. It is a reality, the odometer can be manipulated. Both by a professional and by a private individual. It is not exclusive of any collective. In principle, buying a second-hand car from a professional should be safer, since many offer a guarantee. But it is also easier, for unscrupulous professionals, to hide it, because they know more tricks. How to know if it has been manipulated? You can not know with certainty unless you take the car to an official workshop of the manufacturer and prove it. But there are indications that will allow you to have serious suspicions. A car with 120,000 km should not have whitish headlights. These show an intensive use of the car on the road and many years under sunlight. When driving it or simply fiddling with the elements on board (glove box, doors, whatever) you will notice some slack that has appeared. They show an intensive use of the car, which does not correspond to the few kilometers announced by the seller. Check also the hardness of the seat foam. If by common sense it does not square with the kilometers (for example, you sink in the seat), be careful. Look at the wear of the pedals and under the driver’s mat. If you see a huge wear of the pedals, accelerator and clutch, especially, and announce that the car only has 100,000 km, something does not block. Similarly, if you wear an aluminum bracket and it is a compact or a normal saloon, that is, nothing sports, why are aluminum pedals? To hide the wear? Finally, do not forget to check at the traffic headquarters if the car is free of charges or not. And as far as possible, have an official workshop of the manufacturer take a look at the car you want. They will tell you, better than anyone, how they see the car.